Journey to the Vatican in your own kitchen! Holy ravioli, the perfect pairing! This is a cookbook that stands out in a crowd. 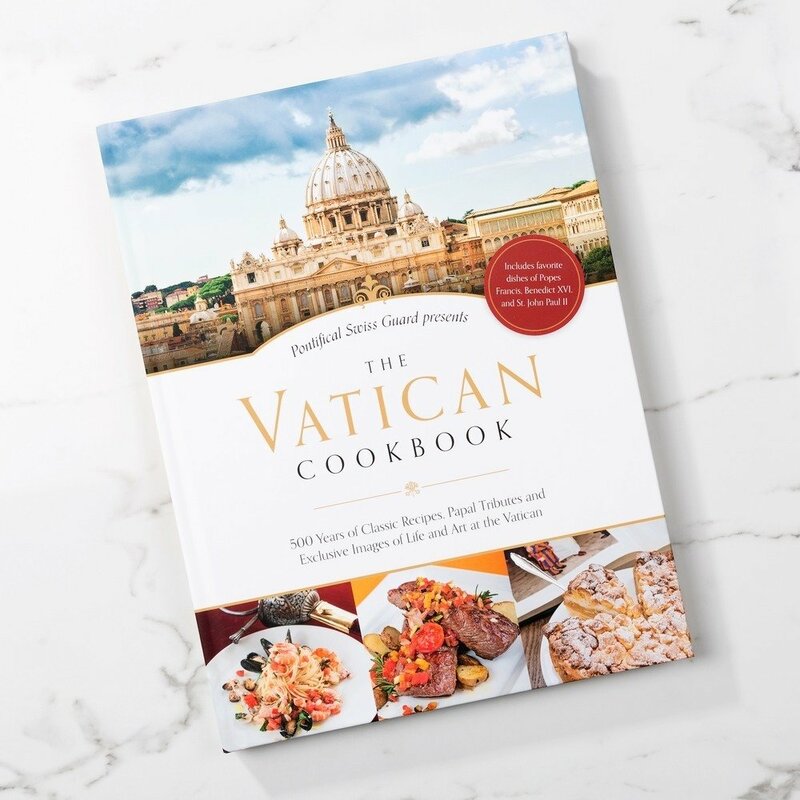 In this cookbook you'll find the classics that have been served at Vatican tables for centuries, alongside the finest of modern Roman cuisine. It also features superb photographs that take us behind the scenes to the secret and special places of Vatican City. Walk the hallowed halls of St. Peter’s, the Vatican Museums, and the Sistine Chapel. Enjoy the stories and legends of the Swiss Guard handed down since the days of Michelangelo. From the Pope's table to yours: Buon Appetito! The Vatican Cookbook by David Geisser. Hardcover. English. Measures: 9" x 12". Pages: 208.